AAM 2/c Jacob L. Bolton, son of Will A. Bolton, graduated from Grandfield High School. 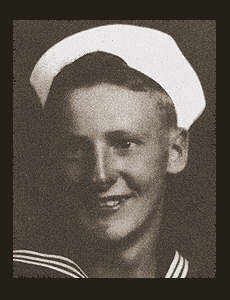 Entered the Navy in Dec.1942; trained in San Diego, Alameda, Cal., Norman, Okla.; served in Newfoundland and Panama Canal. Awarded Good Conduct Medal, Pres. Unit Citation, and ETO Ribbon.